Wedding season is right around the corner and you know what that means – tons and tons of photo opportunities! However, it is important to remember that just because your makeup looks flawless in your bathroom mirror, it may not turn out the same way in photographs. Unfortunately, many women learn this ugly truth the hard way. To prepare for paparazzi moments in the months to follow (and avoid any unwanted surprises), learn these five makeup tips by heart and follow them like Holy Grail. I know many ladies who don’t wear primer on a daily basis and hey, that’s A-okay, but when you want to look your very best and you know that cameras will be around, primer is your best friend. This magical product should be the first step in your beauty routine after your moisturize your face and before you begin your base makeup. In a nutshell, primer evens out the tone and texture of your skin, so that your foundation just glides on and sets in an impeccably smooth finish. You can even find primers with a slight shimmer, which work really well to create some extra glow for the cameras. It might be hard to find a good source of natural light wherever you are, but try to find a space that gets as close to it as possible. More often than not, artificial light tends to change the way you see your skin colour, resulting in under or over application of makeup. Natural light will give you a more realistic idea of how your makeup actually looks and how it will appear in photographs. Again, on a daily basis, most of us just tend to dab our concealer below our eye and lightly blend it to cover the dark circles. But if concealer is not blended in properly, it can look a little out of place and even highlight fine lines and wrinkles rather than cover them up, especially in high definition, professional photographs. Take the time to blend your concealer into the rest of your makeup properly, even if it takes a couple of extra minutes, because this will make a world of difference to your look. When it comes to choosing the right makeup for photographs, dark shades with a matte finish are definitely the way to go. While the subtle sparkle in shimmery shades looks beautiful in real life, it tends to reflect light right onto your face and make you look oily in photographs. 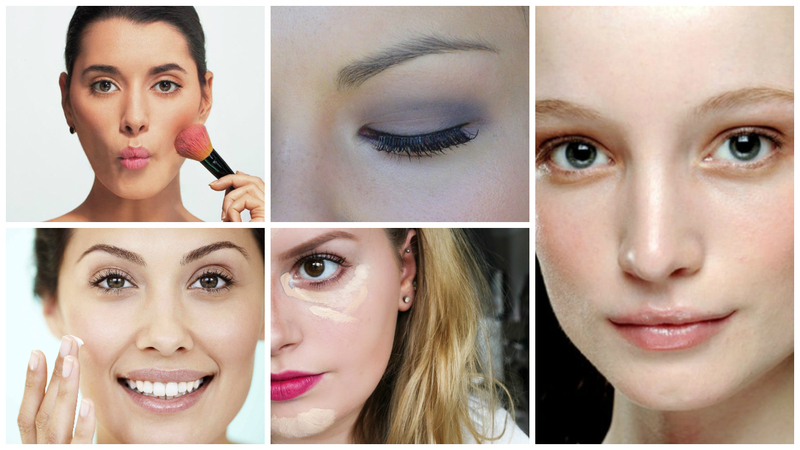 Matte shades are great because they are flat, so they appear as they are. Additionally, light and pastel shades don’t really appear strongly in photographs, so dark and deep hues are always a much better choice if you want your eye makeup to be seen. If you want to play it safe, shades of brown and gold always work well. Again, while your face might look healthy in real life, it will look completely washed out in photographs if you do not apply blush to the apples of your cheeks. Even a light shade can make all the difference and give your skin the lovely flush it needs to glow in photographs. Trust me!